Signed by the Seattle Mariners as a non-drafted free agent on August 14, 2012...Signed by Emilio Carrasquel and Hide Sueyoshi...Acquired by the Atlanta Braves, along with LHP Thomas Burrows, from the Seattle Mariners in exchange for OF Mallex Smith and RHP Shae Simmons on January 11, 2017. Split the season between Atlanta, the minor leagues, the bereavement list, the restricted list and the disabled list ... Appeared in the nine games, one start, for the Braves, going 0-1 with a 5.95 ERA (13 ER/19.2 IP) and one save ... Began the season on the 10-day DL with a left ankle sprain and missed 25 games, 3/29-4/27… After his return, optioned to Triple-A Gwinnett… Returned to Atlanta on 5/8 before going to the bereavement list on 5/25…Remained there until 6/1 and went to the restricted list until 6/3 ... Optioned back to Triple-A on 6/16 before returning to Atlanta on 7/4…Optioned to Triple-A on 7/11 and did not return to the major league active roster for the remainder of the season ... Finished the season on the disabled list with a left shoulder strain ... Earned his first career save with 3.0 innings in his season debut, 5/10 at MIA ... Made his only start, 5/23 at PHI…Went 4.0 innings and took the loss in a 4-0 defeat ... Made 12 starts with Gwinnett, with his last appearance of the season coming on 8/22 vs. Durham in game two of a doubleheader…Went to the disabled list on 8/28 and did not pitch again ... With the bases empty, limited hitters at the major league level to a .098 average (5-for-51)…With runners aboard, hitters batted .524 (11-for-21). Spent time at three different levels of the Braves farm system before making his major league debut in September…Finished the season in Atlanta's rotation, making five starts for the Braves...Began the season with Single-A Florida before starting vs. TEX in game 1 of a doubleheader on 9/6… Became the first Braves starter since 2004 to begin the year in Single-A and make his MLB debut later that season …RHP Jose Capellan began 2004 with Single-A Myrtle Beach before debuting on 9/12/04 vs. MON…Gohara allowed six runs, earned, over 4.0 innings in his debut to lose, 12-8...Became the fifth Brazilian native to play at the major league level, joining CLE's Yan Gomes (debuted in 2012), KC's Paulo Orlando (debuted in 2015), SD's Andre Rienzo (debuted in 2013) and SEA's Thyago Vieira (debuted in 2017)...Joined with Max Fried and Sean Newcomb to become the first trio of rookie left-handers to start for the Braves since 1945, when Bob Logan, Lefty Wallace and Bob Whitcher did it...Earned his first MLB victory on 9/13 at WSH, allowing two runs, one earned, over 6.0 innings...Lost, 2-0, on 9/24 vs. PHI, despite throwing a career-high 7.0 innings and allowing just one run, earned...Became the first Braves rookie to go as deep in a game since Matt Wisler went 8.2 innings on 10/4/15 vs. StL...The last rookie lefty to go as long was Alex Wood, who tossed 7.0 innings on 7/30/13 vs. COL...Compiled a 3.55 ERA (10 ER/25.1 IP) and a 6.25 strikeout-to-walk ratio (25 SO/4 BB) over his four starts following his debut…From the date of his second start on 9/13 through the end of the season, his 25.1 innings led the NL...Combined to go 7-4 with a 2.62 ERA (36 ER/123.2 IP) across 26 minor-league appearances, 25 starts…Started the season with the Fire Frogs and went 3-1 with a 1.98 ERA (8 ER/36.1 IP) and 39 strikeouts in seven games, all starts...Joined Double-A Mississippi on 5/10 and made 12 appearances, 11 starts, with the M-Braves, 5/15-7/22...Promoted to Triple-A Gwinnett, 7/28...Made his Triple-A debut, 8/2 vs. Norfolk... Combined to throw a career-most 153.0 innings…His previous high was 69.2 in 2016. Made 13 starts between Low-A Everett and Single-A Clinton, combining to go 7-2 with a 1.81 ERA (14 ER/69.2 IP) and 81 strikeouts ... Made nine relief appearances for Peoria in the Arizona Fall League, going 1-0 with a 3.86 ERA (5 ER/11.2 IP) ... Named the Mariners No. 6 prospect by Baseball America heading into the 2016 season. Split the season between Single-A Clinton and Single-A Everett ... Led the Northwest League in losses (seven) ... Named to the Northwest League All-Star team and recorded the win for the Northwest League. Began the season with the AZL Mariners... Assigned to Everett on 7/1 and made 11 starts ... Named by Baseball America as the Mariners No. 8 prospect at the conclusion of the season. Made his professional debut with rookie-level Pulaski on 6/21 at Burlington...Was the second-youngest player in the Mariners farm system and the youngest player in the Appalachian League. 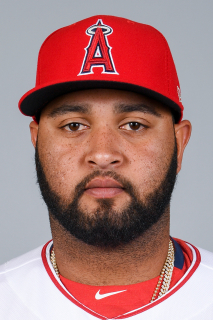 April 3, 2019 Gwinnett Stripers placed LHP Luiz Gohara on the 7-day injured list. March 8, 2019 Atlanta Braves optioned LHP Luiz Gohara to Gwinnett Stripers. October 31, 2018 Atlanta Braves activated LHP Luiz Gohara from the 60-day injured list. September 14, 2018 Atlanta Braves recalled LHP Luiz Gohara from Gwinnett Stripers. September 14, 2018 Atlanta Braves placed LHP Luiz Gohara on the 60-day disabled list. Left shoulder soreness. August 28, 2018 Gwinnett Stripers placed LHP Luiz Gohara on the 7-day disabled list. July 12, 2018 Atlanta Braves optioned LHP Luiz Gohara to Gwinnett Stripers. July 4, 2018 Atlanta Braves recalled Luiz Gohara from Gwinnett Stripers. June 17, 2018 Atlanta Braves optioned LHP Luiz Gohara to Gwinnett Stripers. June 3, 2018 Luiz Gohara roster status changed by Atlanta Braves. June 1, 2018 Atlanta Braves placed LHP Luiz Gohara on the restricted list. May 25, 2018 Atlanta Braves placed LHP Luiz Gohara on the bereavement list. May 8, 2018 Atlanta Braves recalled LHP Luiz Gohara from Gwinnett Stripers. April 28, 2018 Atlanta Braves optioned LHP Luiz Gohara to Gwinnett Stripers. April 27, 2018 Luiz Gohara roster status changed by Atlanta Braves. April 21, 2018 Atlanta Braves sent LHP Luiz Gohara on a rehab assignment to Gwinnett Stripers. April 17, 2018 Atlanta Braves sent LHP Luiz Gohara on a rehab assignment to Mississippi Braves. March 29, 2018 Atlanta Braves placed LHP Luiz Gohara on the 10-day disabled list retroactive to March 26, 2018. left ankle sprain. September 5, 2017 Atlanta Braves selected the contract of LHP Luiz Gohara from Gwinnett Braves. July 28, 2017 LHP Luiz Gohara assigned to Gwinnett Braves from Mississippi Braves. May 30, 2017 Mississippi Braves activated LHP Luiz Gohara from the 7-day disabled list. May 17, 2017 Mississippi Braves placed LHP Luiz Gohara on the 7-day disabled list. May 10, 2017 LHP Luiz Gohara assigned to Mississippi Braves from Florida Fire Frogs. April 4, 2017 LHP Luiz Gohara assigned to Florida Fire Frogs from Rome Braves. January 11, 2017 LHP Luiz Gohara assigned to Rome Braves. August 21, 2016 Clinton LumberKings activated LHP Luiz Gohara from the 7-day disabled list. August 10, 2016 Clinton LumberKings placed LHP Luiz Gohara on the 7-day disabled list retroactive to August 8, 2016. June 30, 2016 LHP Luiz Gohara assigned to Clinton LumberKings from Everett AquaSox. July 14, 2015 LHP Luiz Gohara assigned to Everett AquaSox from Clinton LumberKings. July 12, 2015 LHP Luiz Gohara assigned to Clinton LumberKings from Everett AquaSox. May 28, 2015 LHP Luiz Gohara assigned to Clinton LumberKings from Everett AquaSox. July 1, 2014 LHP Luiz Gohara assigned to Everett AquaSox from AZL Mariners. June 16, 2014 LHP Luiz Gohara assigned to AZL Mariners from Pulaski Mariners. May 7, 2013 LHP Luiz Gohara assigned to Pulaski Mariners from VSL Mariners. January 17, 2013 Luiz Gohara assigned to VSL Mariners. August 14, 2012 Seattle Mariners signed LHP Luiz Gohara.